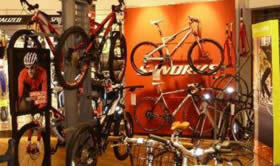 At Websters we pride ourselves on the ability to undertake most cycle repairs, regardless of the make or model. All the staff at Websters are cyclists themselves, which gives them a greater understanding of the need for your cycle to be in a good working order. Jobs are usually done within one to two days, however, larger jobs, or in busier times during summer it can take longer. You can bring the bike in at any time. You will, in most cases, receive a quote straight away. Most parts that are required in the course of a basic service will be fitted for free. Please try & plan in advance. We try to offer a quick turnaround but at peak times in the summer, turnaround can be as much as a week. Please telephone us to check the current workshop status on 0116 2570777 We can do all different kinds of work to your bike from a deluxe service, to something simple like replacing an inner tube. Below is a small list of labour charges for some of the more popular jobs we do, but please remember we will give you a more accurate quote when you bring it in for repair. We always take your number & contact you before going ahead with any unforseen extras that may have arisen during a service/repair. Prices include VAT @20% and exclude parts unless stated. Basic Service £40 .Entire bike including wheels checked and adjusted where necessary. Advice as to any parts & costs needed & fit if requested (Excludes suspension systems). Suspension fork service from £40 (some forks ie Fox have to be returned to them for servicing, we can arrange this, removing and refitting them for you. Fit new BB sealed unit, £15. Bleed hydraulic brakes (Each), £20. Fit new freehub body, £15.